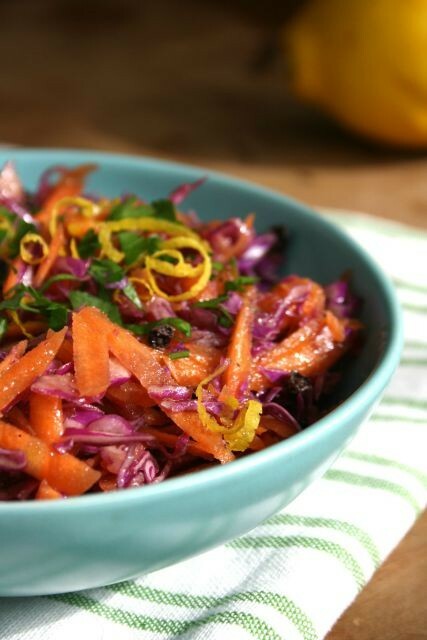 Carrot cabbage slaw is a flavourful crunchy salad that is perfectly suited to summer meals. Tossed with an orange dressing it’s fresh and tangy. Then there is all that chewing. 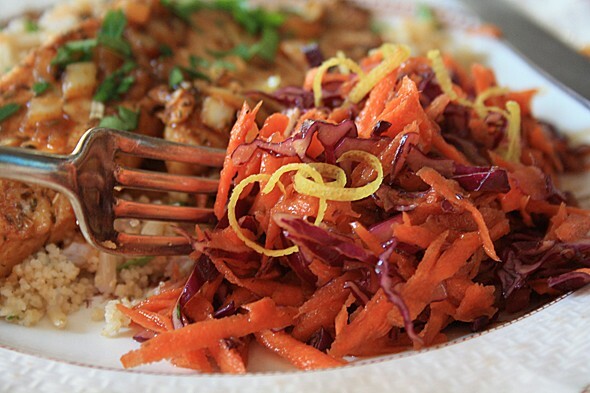 Your skill at slicing the cabbage will determine how much chewing is required for this salad. I often use a cheese slicer so I get wispy thin shreds of cabbage. If you have a mandolin that’s even better. 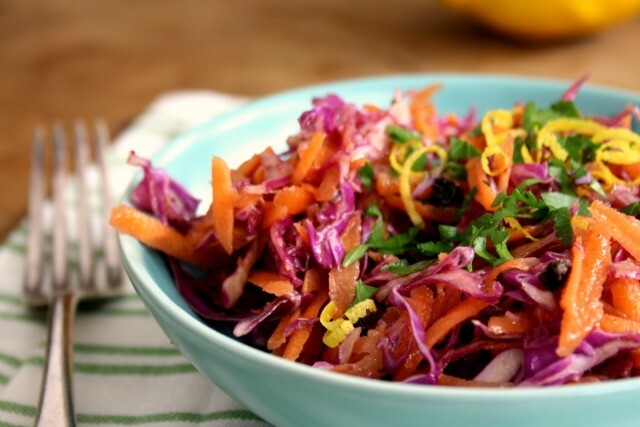 Unlike many salads this carrot cabbage slaw can last for a few days in the fridge. 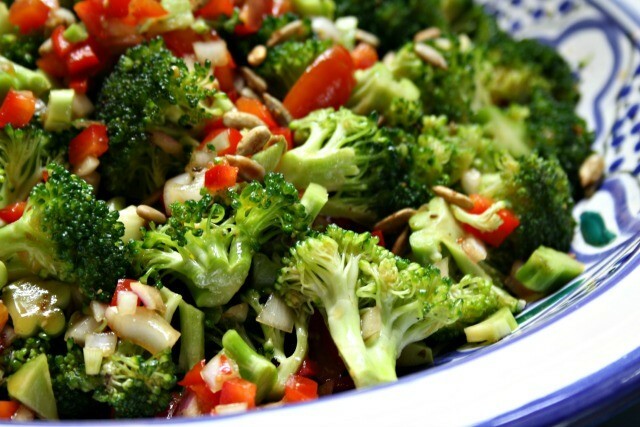 The vegetables lose a bit of their crunch as they marinate in the dressing but never seem to get too soft. 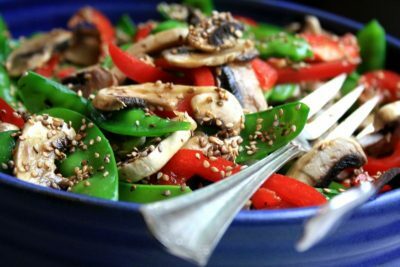 Serve this salad with anything and everything. Toss it with a little spinach and top with an egg for a main dish salad. Put all ingredients, except oil, in a mason jar and give it a good shake. Make sure the Dijon is well incorporated then add the oil and give it another shake. Or you can stir it together in a bowl, in the same sequence. 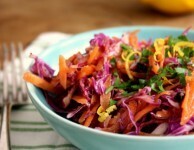 Before serving, squeeze half a lemon or lime over the slaw and add the zest of one lemon or lime. If you’re in search of family-friendly food that’s easy to prepare, healthy and tastes good, then sign up to receive blog posts by email. We’d love to send you our monthly newsletter too. 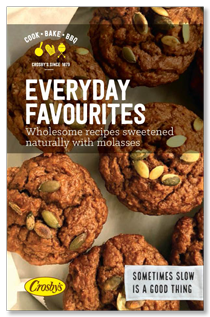 It includes cooking tips, menu ideas, featured recipes and more. Here’s the link to subscribe. Make this recipe delicious with Crosby's Molasses. Hi I have some of your molasses and I’m afraid I don’t know how to use it, I was hoping to get a cookbook. Years ago I was at a friends house for her daughters birthday, Julie was a health nut and always tried to cook only good healthy food. For her daughters birthday she wanted to make things the kids would like, she made a cake with carob and molasses and what else I don’t know she also made ice-cream from what I don’t know. I thought it would be terrible I was so wrong it was great and so much more filling (what a treat) and healthy too. I didn’t know it was possible to have such delicious and healthy sweets and also I see your cook Bridget Oland looks very healthy. I read somewhere I could request a cookbook (on my molasses container I think) if so I’d love one Thank you Fred. I would love to have this cook book also. I love molasses but do not know when to use it or how much to use. Deb, I would love to send you a cookbook, but what is your full name, please? C1E 1J9. Would really like one of your cook books. Hi Florence, the cookbooks are free and we will put one in the mail for you. Could you please send me one of your cook books. I spend a lot of time copying your recepies. I like the recipes that I’ve seen and would love the cookbook. I sent my address and ask that you kindly send me a copy as well. Thank you very much. Hi Debbie, Just double checking that you received your cookbook. Please let me know if it didn’t arrive. Hi Carol, We’d be happy to mail you a copy of our printed cookbook. I would love a cookbook too. Hi Yvonne, We’d be happy to mail you a copy of our printed cookbook. Are the cookbooks that the above talking about still available? If so I would love one.  Sign up now to get wholesome & delicious recipes in your inbox.